Let me start by saying that I’m a HUGE Beauty and the Beast fan. (The animated one, not that awful 2017 live-action remake. #sorrynotsorry). It’s my favorite Disney film so I might be a little bias when it comes to this restaurant. 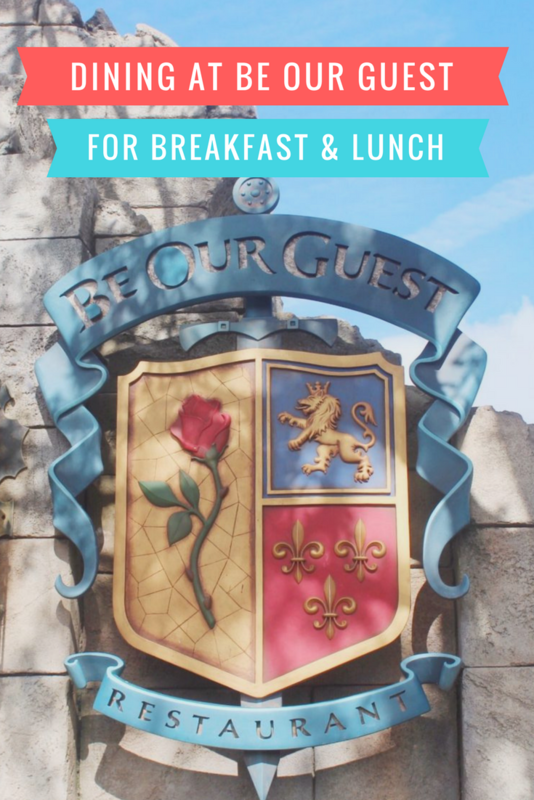 Maybe it’s just me, but the real Be Our Guest “experience” starts long before you enter the castle, seat down and get your meal. 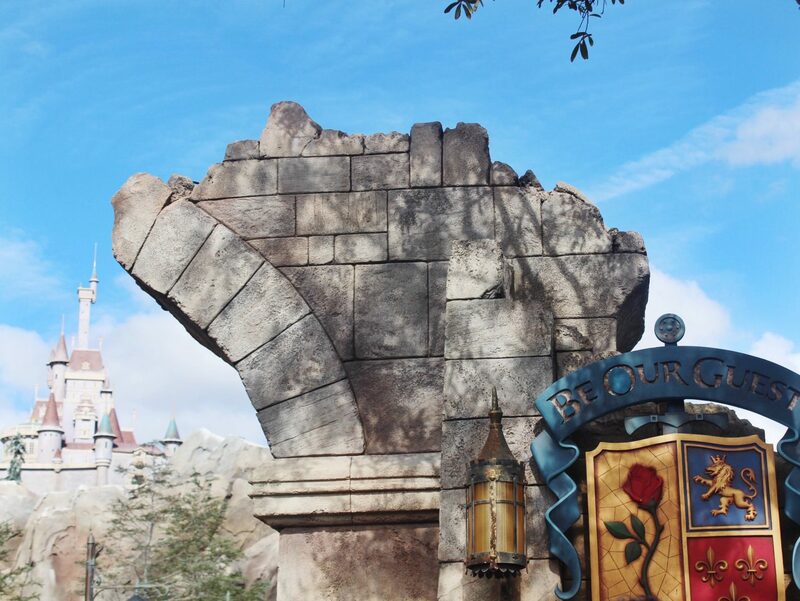 The true experience starts as soon as you cross the bridge and slowly approach the Beast’s castle. The biggest thing to know about Be Our Guest is the fact that the restaurant “changes” its dinning category depending on what time you visit. 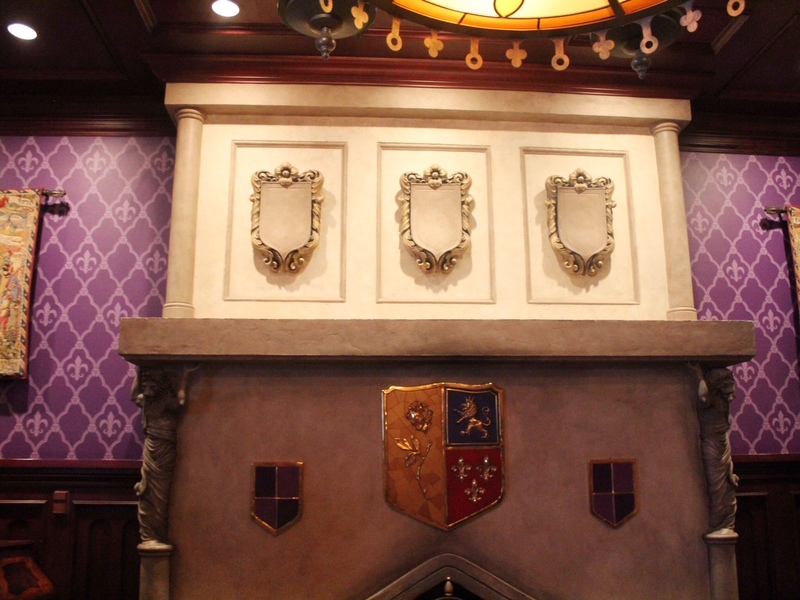 For example, when you dine at Be Our Guest during dinner, you’re dinning at a Table Service (sit down) restaurant. During breakfast and lunch the restaurant is considered Quick/Counter Service (fast-casual). Basically what this means is that for breakfast and lunch, touch-screen kiosks are available for guests to pick and customize their orders. While waiters take your order and serve you during dinnertime. 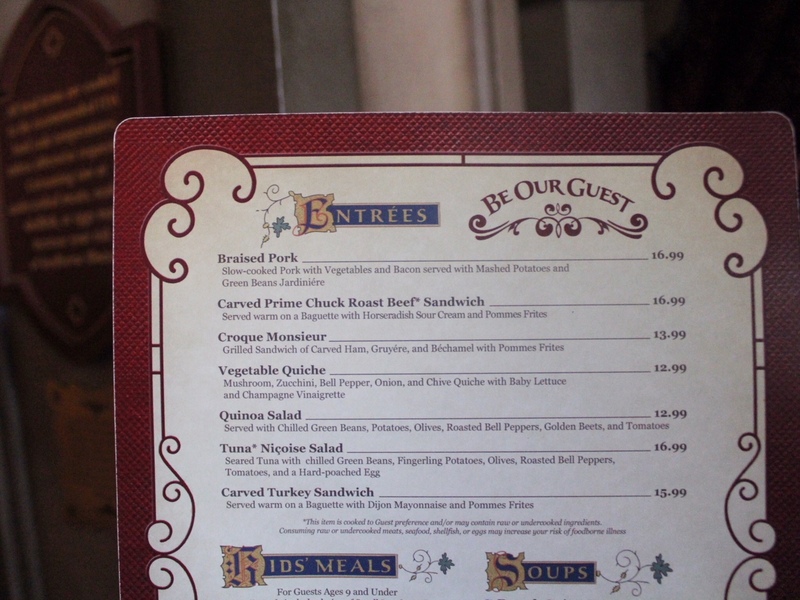 Also, eating breakfast or lunch at Be Our Guest is much cheaper than dining there for dinner. After placing your order, you’ll sit down, and your order will be delivered to you. 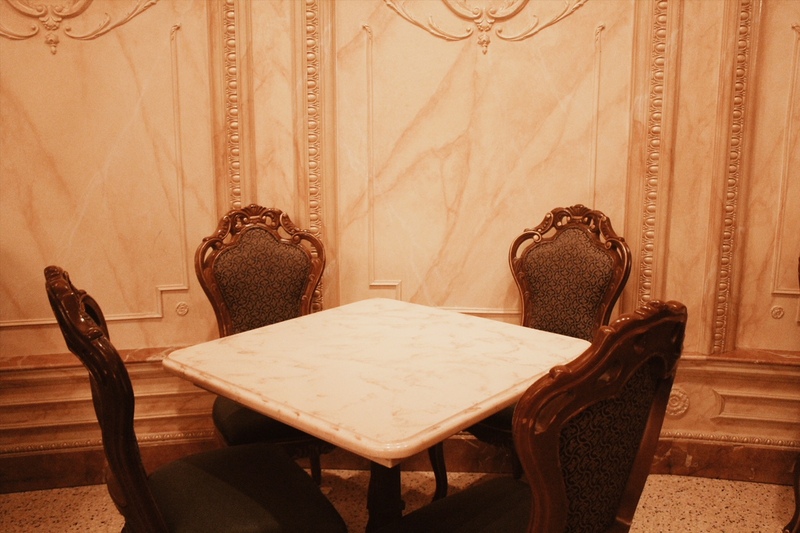 Another major difference between dinning at Be Our Guest during breakfast or lunch, as appose to dinner, is the fact that you get to seat yourself. Meaning, you get to choose which of the three dinning rooms (the Grand Ballroom, the West Wing or the Castle Gallery) to dine in. I personally prefer eating in the Grand Ballroom during breakfast and lunch (and having dinner in the West Wing). 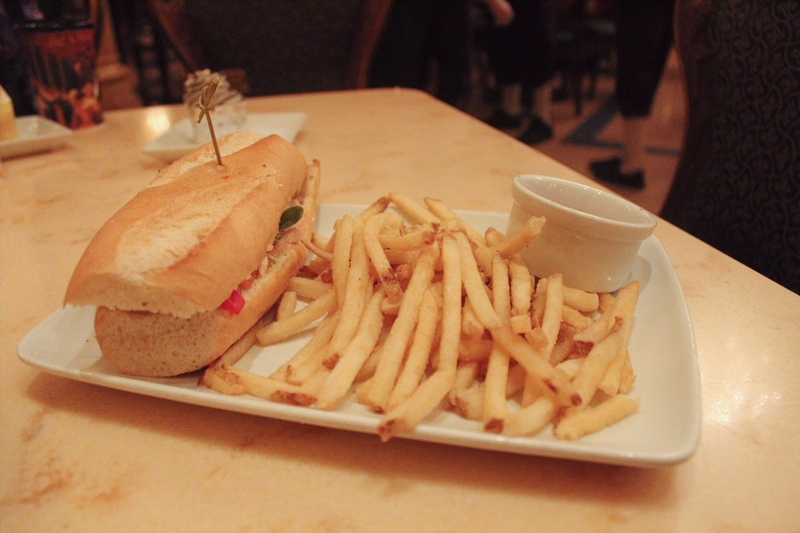 My go-to when I’m having lunch at Be Our Guest is the Carved Turkey Sandwich, which comes with a Carved Turkey Sandwich served warm on a Baguette with Dijon Mayonnaise and Pommes Frites. 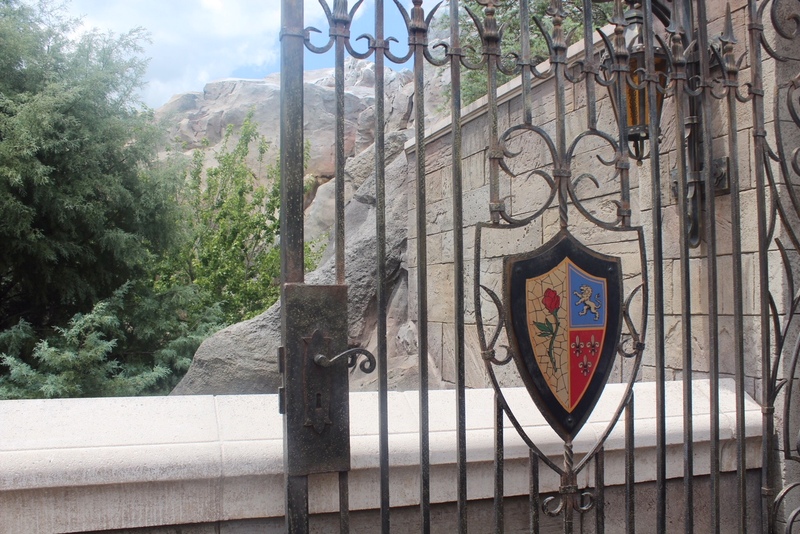 I will admit that, like most Disney restaurants, not everything at Be Our Guest is good. 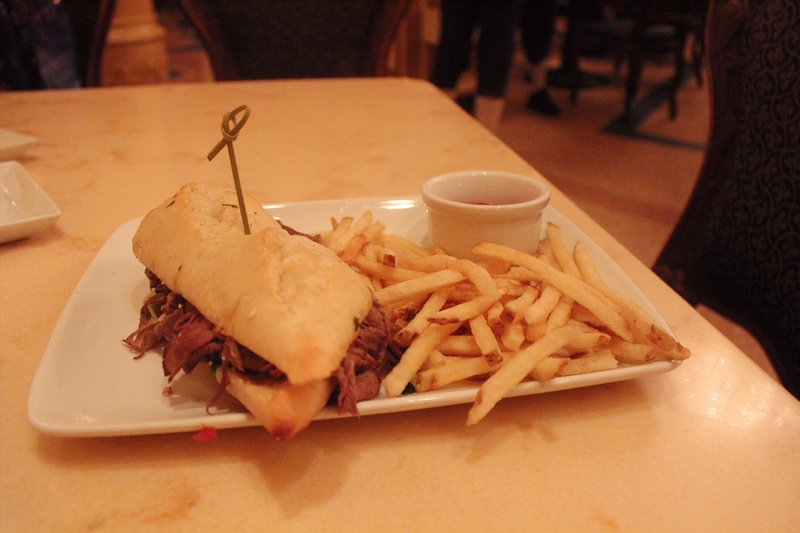 The Carved Prime Chuck Roast Beef Sandwich (which isn’t on the menu anymore) was horrible. I ordered it once and then never again. I was very disappointed. 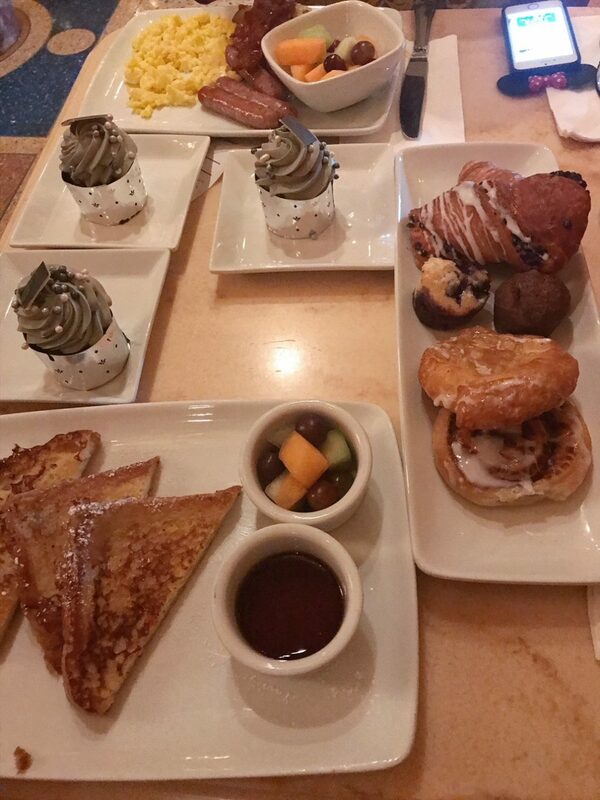 My go-tos for breakfast at Be Our Guest is the Feast A La Gaston (Scrambled Eggs, Herb-Roasted Potatoes, Apple Smoked Bacon, and Sausage served with Fresh Fruit) and the French Toast (off of the kids menu). One of the bonuses about dinning at Be Our Guest for breakfast is the fact that you get a selection of pastries (which is included in the price) with your meal. (Notice all the Grey Stuff on the table? I’m obsessed). All in all, I’ll say this about Be Our Guest. Is the food incredible? No. (Although it is good). Is it a little pricey? That depends. Is it “worth” checking out? Absolutely! 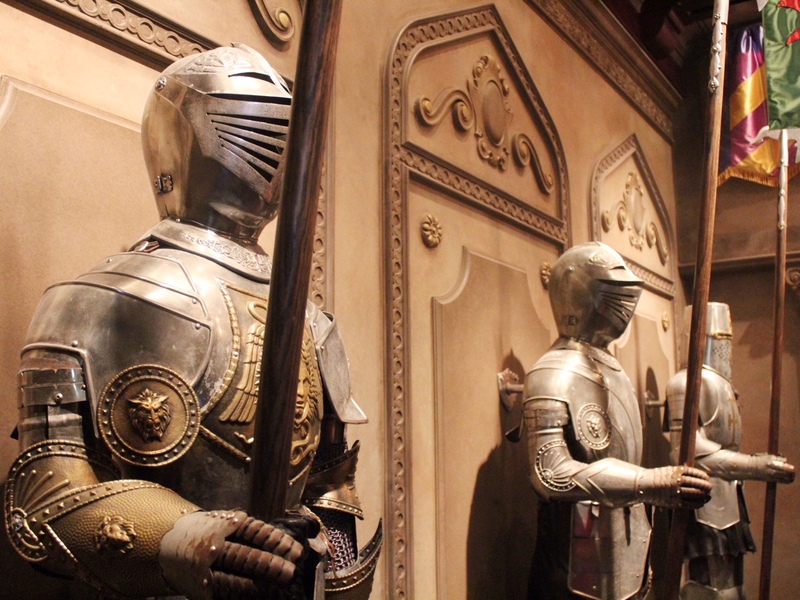 The theming itself is a huge draw to what makes Be Our Guest so spectacular. 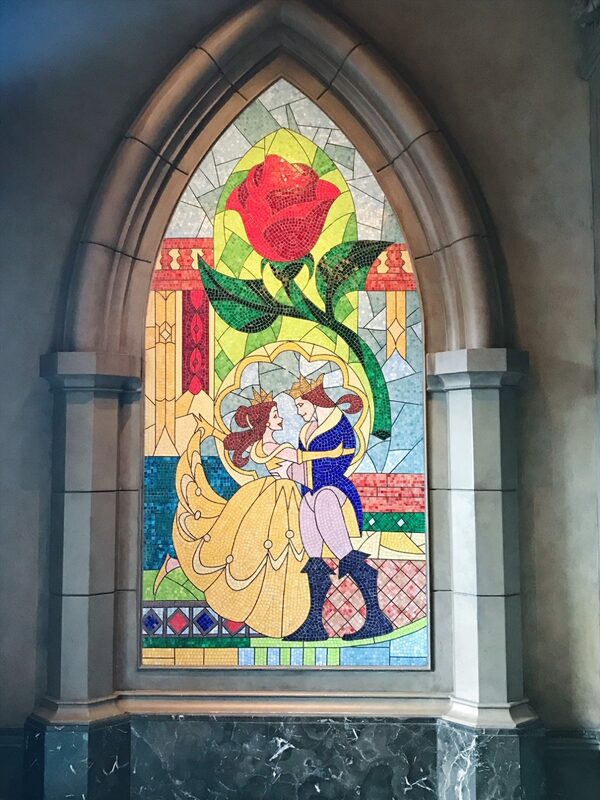 I honestly believe that dining at Be Our Guest is a MUST for all Beauty and the Beast fans! 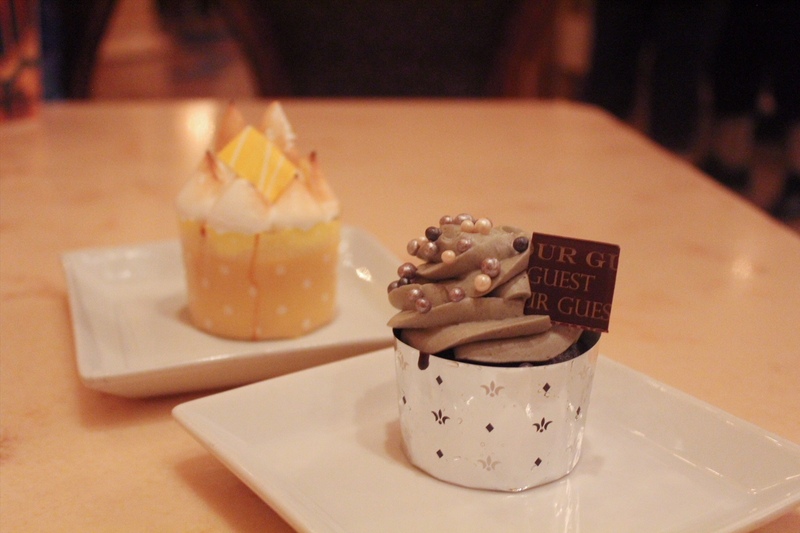 (Heck, trying the grey stuff alone is reason enough to dine at Be Our Guest!). 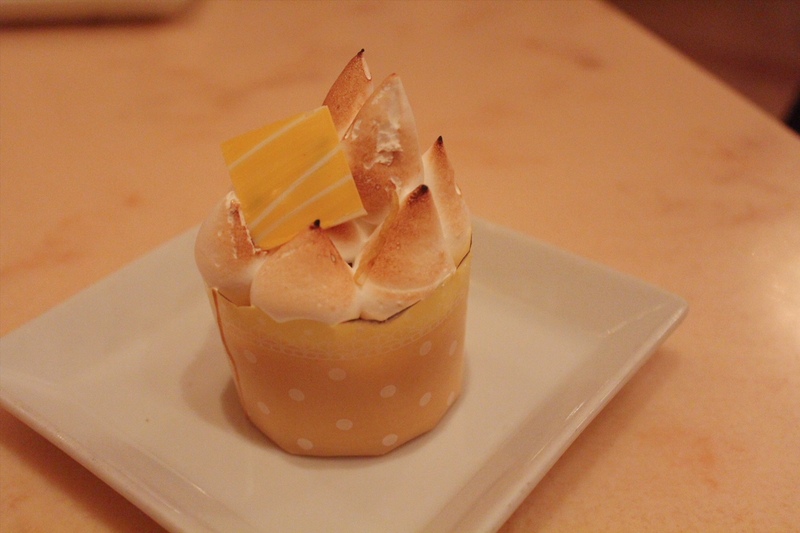 Another bonus of dining at Be Our Guest? Getting to take a photo in front of this iconic stained glass window!